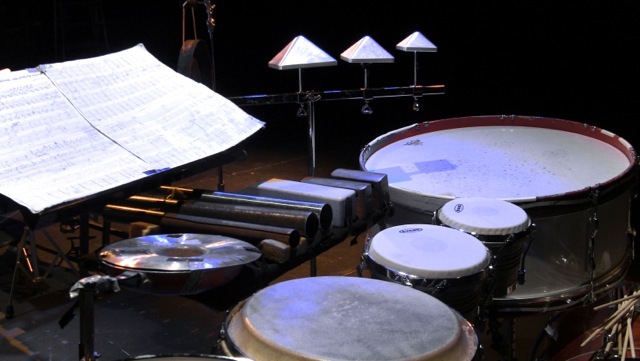 Henrik Larsen | Aluphone - Tuned percussion for percussionists. Henrik Larsen Danish percussionist Henrik Larsen has performed as a soloist and chamber-musician all over Scandinavia, Europe, USA, Asia. He holds the position as Head of Percussion at the Royal Academy of Music Aarhus, where he has build up a new percussion-education, based on new principles, which he presented at PASIC 2009. Something never seen and heard before – excellent virtuosity with a very clear sense of form. Electrifying the Rhythm with explosive, held back excitement. This year we introduced a marimba major soloistclass and several specialized lines on the Candidate, i.g. collaboration with electronic music department, modern music or an orchestra major with close collaboration with the professional SO, with whom we share wonderful buildings in the center of Aarhus. Percussionist Henrik Larsen demonstrates his technical and musical command of music from Baroque to the contemporary on his solo percussion recording Convergence. His sensitive interpretation of the six parts of Bach’s ”Cello Suite No. 3” for solo marimba closely mirrors the legato texture of the cello bow, and his phrasing possesses jus the right amount of ebb and flow… Draws the listener in. Larsen concludes the recording with Xenakis’ classic ”Psappha” for solo percussion. 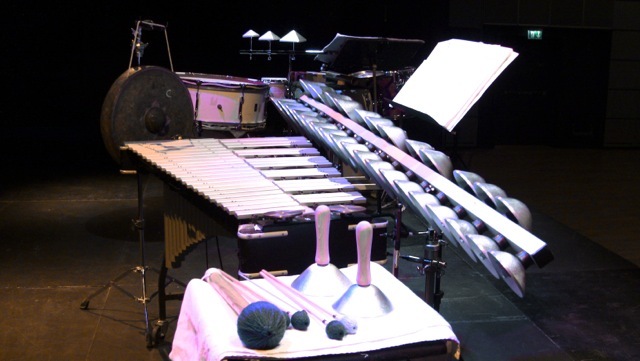 Written in 1975, this piece for nonpitched percussion (woodblocks, bongos, toms, etc.) possesses a bombastic, yet regal weight under Larsen’s able control.